HIAWASSEE, Ga. – In America, a staggering average of 22 veterans commit suicide on any given day, and Veterans of Foreign Wars (VFW) Quartermaster Brandy Creel, a United States Air Force veteran of 20-plus years, spoke on the emotional health stigma plaguing military service members at Sundance Grill on Friday, Oct. 12. “More than 90 percent of people that kill themselves have a diagnosable emotional disorder, so there’s something wrong with this and we need to get the word out,” Creel explained. Personality changes, withdrawl, agitation, poor self-care, and a sense of hopelessness are warning signs to look for in those who may be suffering from suicidal thoughts. Creel encouraged the community to directly ask an individual experiencing such behavior if they have thoughts of self-harm, actively listening to show understanding while removing means that could induce self-injury, and escorting the person to a medical facility for professional treatment. “The task is to ask,” Creel urged. The Desert Storm veteran offered a variety of options for improving emotional well-being, such as talking to a trusted friend, engaging in exercise and relaxation, mindful nutrition, and experiencing nature. “People need to understand that our emotional health is just as important as our physical health, and together we can change the attitude, the mindset…,” Creel expressed. Suicide Prevention Lifeline is available to speak with veterans and citizens who harbor thoughts of self-harm. 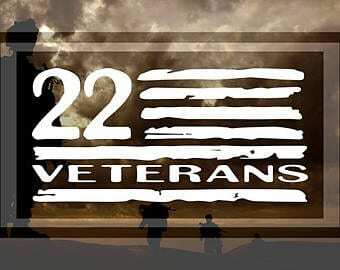 The organization can be reached by dialing 1-800-273-TALK (8255) — Press “1” for veterans. The service provides free and confidential assistance.